← Why doesn’t Putin shirtfront someone? Voters in the Thames water supply area of service have resoundingly defeated attempts to stop fluoridation of their water supply. 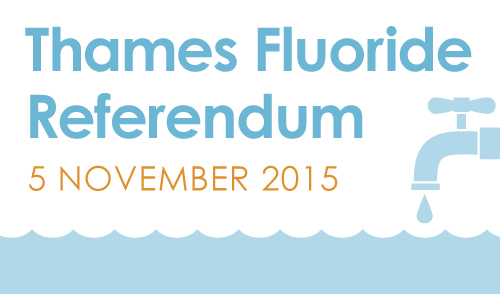 The Thames-Coromandel District Council has released the result of a referendum which had been imposed on the town because of activities of anti-fluoridation campaigners. The results show a resounding defeat for these campaigners with 73% of voters supporting retention of community water fluoridation. This is a decisive result, made even more decisive by the high turnout in the postal vote – almost 57 %. This is an unusually high turnout for local body votes in New Zealand. Anti-fluoride campaigners were very active during this referendum, publishing about six full-page advertorials in the local papers as well as having a strong presence on the streets. It appears this aggressive approach could have turned residents off, even encouraged them to vote. In fact, the advertising and billboard claims of the anti-fluoride campaigners have been the subject of several complaints to the Advertising Standards Authority (ASA). The Authority released the first decision on these complaints today finding that anti-fluoride advertising had violated advertising ethics. There will be more decisions released by ASA in the coming days and weeks. The council had decided this would be a binding vote so approval of the decision to continue fluoridation is just a formality. This entry was posted in Health and Medicine, New Zealand, SciBlogs, science, Science and Society and tagged fluoridation, fluoride, SciBlogs, Thames. Bookmark the permalink. Fluoridation of all the drinking water seems a very inefficient way to get some fluor on childrens teeth. Don’t you have toothpaste in the UK? Thames New Zealand, not UK, Dutchy. The protective action of fluoride in drinking water, above and beyond that from toothpaste, is well established. Why do you think health and scientific experts have not bothered to check that out? Waiting for the anti-fluoridationists to manipulate that 57% in favour of fluoridation to 60% against. Just my cynical side showing. Congratulations to the Thames voters for following the science. Except that it is not cynical as they’ve done exactly that in regard to previous poll losses.